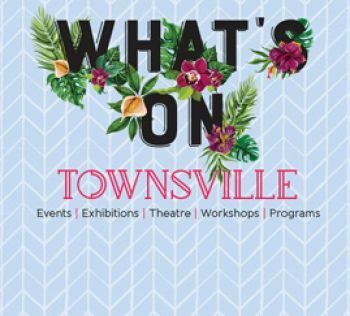 Take control of your career and join one of the North Queensland’s largest and most diverse organisations, Townsville City Council, which has a strong connection to a thriving community. A career with us offers challenging and rewarding work, with outstanding opportunities for personal and career development. We know that by investing in our staff, we also get the best return for our community, so we are focused on creating a dynamic and flexible environment where people are valued and respected, enjoy the work they do and benefit from superior work conditions. You might be surprised at the range of services the council provides and supports - explore our current vacancies to find out more about the rewarding and challenging careers available, and take a step towards your new life! When preparing an application for Council you will need to apply in writing for any current advertised vacancies. You must submit a separate application for each position you are interested in, some positions require specific qualifications or experience, and these are identified in the advertised Position Information document. Ensure your submission includes what has been requested to complete your application (detailed cover letter) and an up-to-date resume. Make final checks for grammar, spelling and punctuation before submitting. Save copies of all your submissions and print them out at home so you have them handy, if you are invited to an interview. Simply view our Current Job Vacancies page, and find the position that interests you. Read the position information to find out what is required to submit an application. Enquiries and applications can be directed via email to the People & Culture, Recruitment team. a detailed covering letter outlining how your knowledge, skills and experience meet the key requirements of the position. After applying online you will receive an immediate acknowledgement that your application has been received. If you do not receive this acknowledgement email, please contact us to confirm your application has been received. Short listed applicants will generally be contacted within three weeks, from the closing date, and invited to an interview. Applicants not successful will be notified once the recruitment process has been finalised. We would encourage you to keep a close eye on your emails as this is our key method of contact with applicants during the recruitment process. Council is committed to recruiting the best possible candidates. Accordingly, the selection process is based on merit principles and equal employment opportunity. Your application will be assessed against the requirements of the position, based on your qualifications, and your relevant experience as outlined in your application documents. If you are short listed for an interview, the council will contact you with details of where and when the interview will take place. In most cases the council will provide at least 2 working days notice. If you are not a citizen or a permanent resident, please ensure that your residency status/work entitlements are detailed on your application. Please only apply for those positions for which you are eligible based on your current residency. The table below is a quick guide for you. Temporary Residents without a valid Working Visa No No Unable to apply for positions with council. We recognises our duty to ensure the health, safety and welfare of all workers, and we are committed to minimising the risks as far as reasonably practicable, which employees and others may be exposed to as a result of our operations. This commitment is reflected in the extensive Work, Health and Safety policies, procedures and training provided to all of our employees, and in the comprehensive safety management systems employed throughout the organisation. We will ensure that our people are provided with suitable direction and training, adequate resources, competent supervision, safe systems of work and appropriate instruction in the use of all equipment including personal protective equipment (PPE). All managers and employees of council including contractors, volunteers and visitors, have a shared responsibility for contributing to the health and safety of all persons in the work place. We provide a positive and supportive working environment to our employees. We are an equal opportunity employer and values diversity in its people such as cultural and physical diversity (people with disabilities). Our commitment to facilitating a diverse and equal workforce is demonstrated by the delivery of our "Diversity in Employment Strategy”. Townsville City Council is extremely proud to have achieved Silver Recognition under the Queensland Government’s Happier, Healthier Workplaces initiative for implementing best practices in workplace wellness programs. Council first attained Silver Recognition in 2014 and has maintained the recognition status through demonstrating an ongoing commitment to employee health and wellbeing. For further information on opportunities to work with council, please contact People and Culture Recruitment Team on 13 48 10 or email us.